Zoom out from the Cape Town City Bowl at the top of Table Mountain. 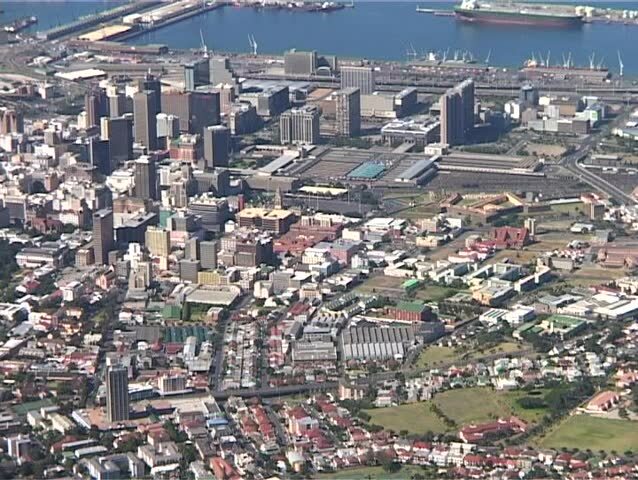 The City Bowl is the CBD (Central Business District) of Cape Town, as well as the harbour and several suburbs. 4k00:11Hoi An top view by drone. Aerial view panorama of Hoi An old town or Hoian ancient town. Royalty high-quality free stock photo image top view of Hoai river and boat traffic Hoi An. 4k00:54Paterson, New Jersey / United States - November 1, 2018 : Aerial of Paterson, New Jersey and nearby neighborhoods.